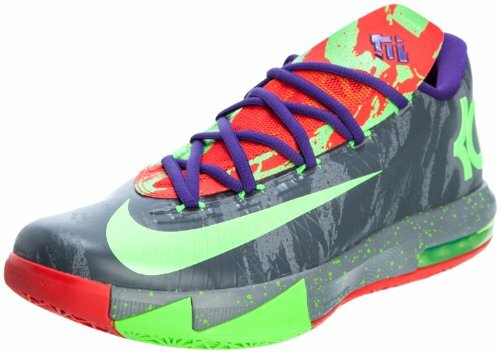 Nike basketball and Kevin Durant have released the latest, the KD VI Basketball Shoes. They have a revised midsole, so instead of the 180-degree Max Air unit, they have a 180-degree Zoom Air unit within their Phylon midsole, and they're also super supportive thanks to their Flywire technology. The KD VIs, if you can't tell, have a sleek look thanks to their seamless silhouette and low-ankle design, which also contributes to enhanced ankle mobility. Check out their lacing system, too. It sits upon the split-tongue and the system leans toward the lateral side as to provide less stress on feet. Whether you're just adding them to your sneaker collection for show, or plan on wearing them everyday, you'll definitely admire them for their bold, modern look.